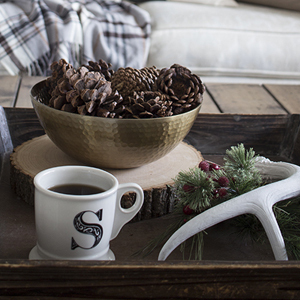 Easy Christmas Decor using fillers like ornaments, greenery, and pinecones. 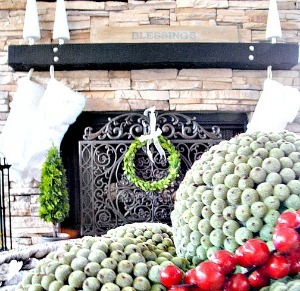 Did you see my Christmas home tour on Monday? 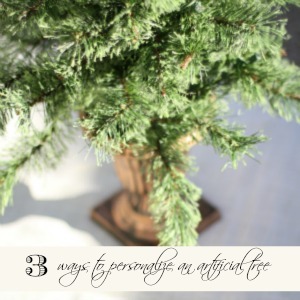 I think it is so easy for us to compare ourselves and our homes to others – especially this time of year when there are parties and decorations and home tours galore. As my sweet friend Lucy always says, this is not about comparing or competing, but it is about hopefully inspiring you and giving you some ideas you can use in your own home. While there were plenty of projects that took time and precision to ready my home for Monday’s photographs, there were also a few that took no more than minutes. And that, my friends, is what I want to share with you today. 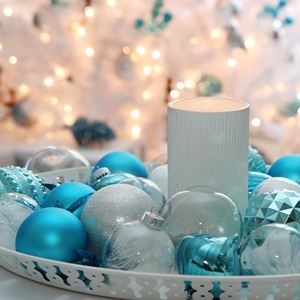 But even I found four different places to put a bowl or basket of something with a holiday flare. Ornaments. In this case, shatter proof ones because they definitely have been used for catch already. Greenery. (And a few ornaments 😉 ). 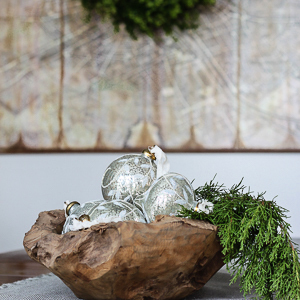 A few clippings from my yard add an elegance to the ornaments to this teak bowl. Pinecones. I use these baby ones to decorate gifts. Since the gifts are yet-to-be-bought, the mini pinecones are sitting pretty on my desk for now. Mixtures. 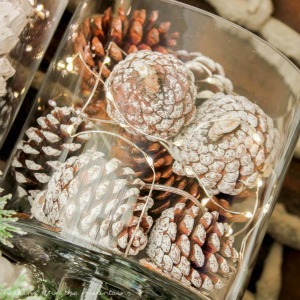 I had several random spheres floating around the house… Throw in some faux pine needles and pine cones, and it’s instant winter wonderland. I brought it down to the ottoman for you to get a better look, but the truth is I literally just piled them into the basket. No rhythm or rhyme at all. And that’s it. Find a spot. Find a container. Add some holiday goodies. 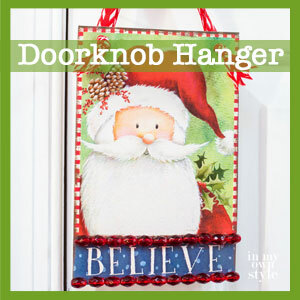 Room instantly holiday-ified (and yes, I – a former English teacher – am making up words… It’s good for the soul). 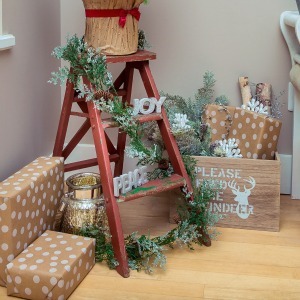 Be sure to visit the other bloggers for their 10 minute Christmas decorating ideas! 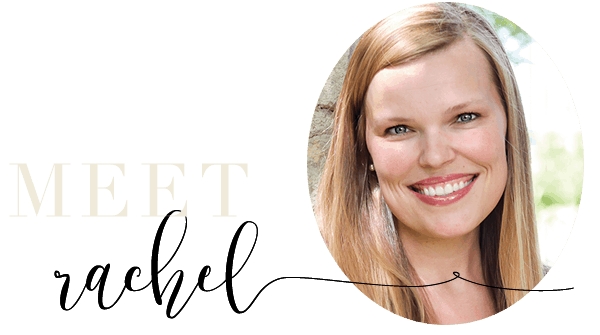 I love your simple, beautiful style Rachel. So pretty. Thank you for sharing your ideas and your lovely home! 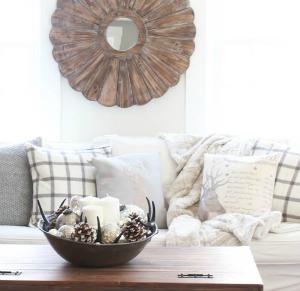 Love your filler tips and pretty vignettes! Happy holidays friend! This is so pretty, thank you for the tips, love the comment about playing”catch” :)) Your home is gorgeous!